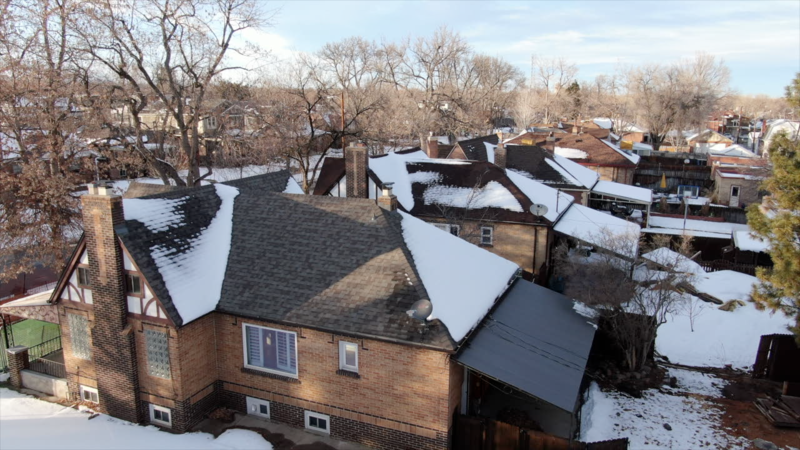 According to records from Community Planning and Developments, 449 demolition permits were issued by the City of Denver as of late December 2018. DENVER -- A fence went up around three homes in Crystal Peccia's neighborhood and she immediately knew what would come next. "When you see that fence you know something is coming down," said Peccia. Her neighborhood in the Highlands is like many across Denver: it's changing and new development is coming in. Peccia isn't opposed to progress, but she's concerned about what's being lost as these homes in the 3600 block of Vallejo are torn down. "There’s a lot of good people here and there’s a lot of history in this area. That’s the thing, that’s the biggest thing for me, is the history and the people and the way it looks. I think the look of this area is unlike what you find now," said Peccia. The number of permits for single-family homes and duplexes have been steady over the past three years. Four-hundred-forty permits were issued in 2017 and 448 permits were issued in 2016. Every single one of those documents will go through Landmark Preservation. "So the way that landmark looks at things, we look to see if a building is 30 years old or older and then we look to see if it has architectural significance," said Jennifer Cappeto. Cappeto explains a building must meet two out of three requirements to become a Denver landmark, potentially saving it from being scraped. They look at history, architecture and geography. Even if a property meets two of the requirements, there's a long road ahead to save a it. A notice will be posted on the building, the Landmark Preservation Commission will get involved and it will finally go before city council. "It’s important, as I said, to preserve the historic and significant features of the city. It’s also really important to have new development occur in the city, it makes for a really vibrant city," said Cappeto. Peccia understands that but she can't help but wonder if the only option is to tear down homes that she believes add a lot of character to the neighborhood. "Maybe we don’t have to demo these homes, maybe there’s something else we can do," said Peccia.